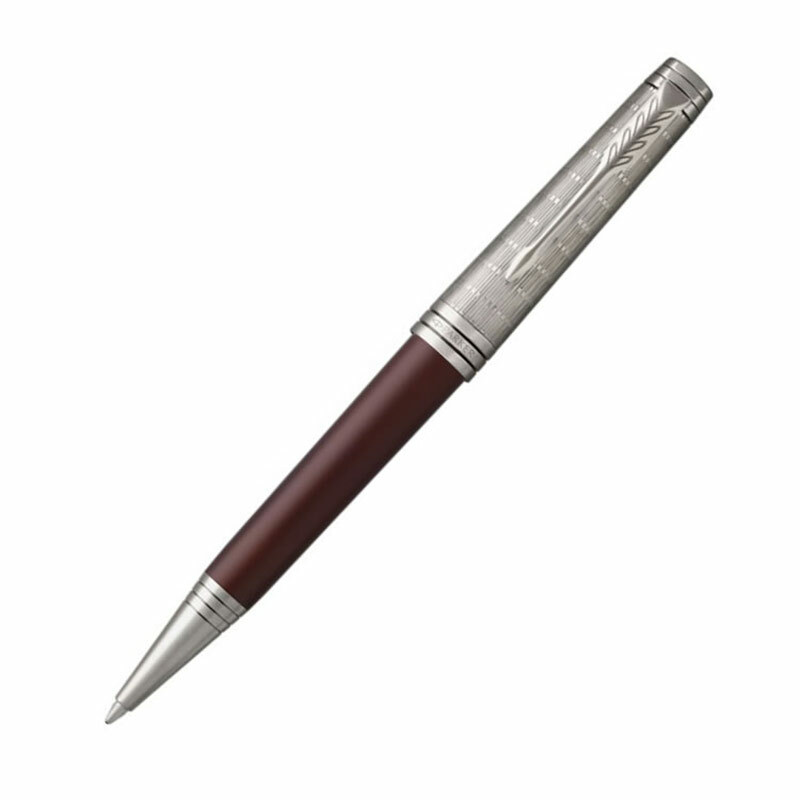 A stunning writing instrument from Parker's Premier collection of fine quality executive pens. Combining contemporary design with commanding prestige, these superb ballpoint pens are suitable to present engraved as personalised gifts at the very highest levels. 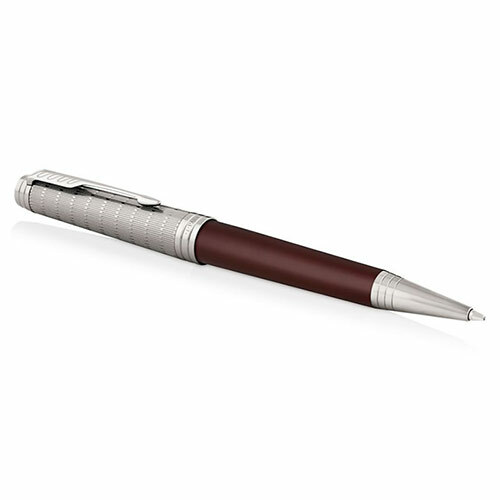 They feature a crimson finish on the barrel while the cap and fittings are crafted in ruthenium, a rare metal belonging to the platinum group in the periodic table. The ruthenium overlaid cap has a contemporary chiselled pattern. Each pen is supplied with a black ink Quinkflow refill, providing an extra smooth writing experience. 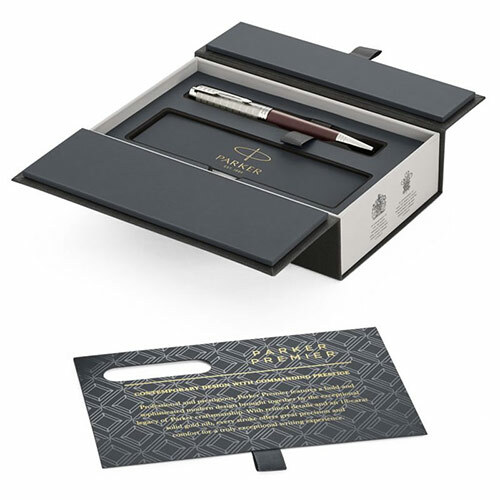 These Parker Premier crimson ballpoint pens are supplied in a Parker presentation box and offered here with free text and/or logo engraving.